Say it loud and proud with this pride event poster template from Venngage! Pride Week is an important time for people of all sexual and gender identities to gather and celebrate their freedom. If you’re advertising for a Pride event, then you can’t go wrong with the Pride Event Poster! 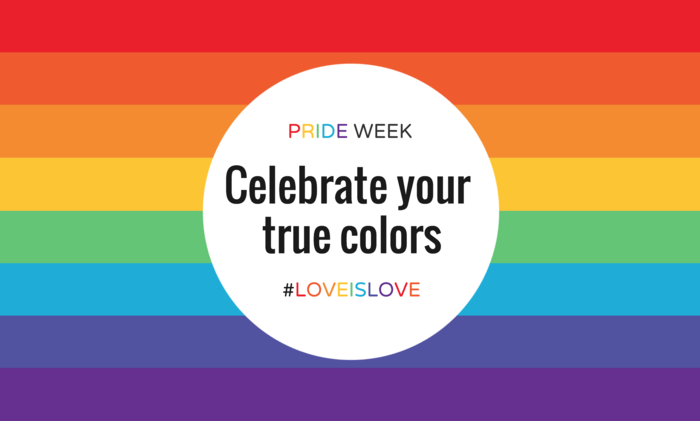 You’ll be able to show your true colors when you customize the Pride Event Poster template with our large inventory of stock images and photos or you can upload your own. You can also change the font, text, and add graphic icons. The Pride Event Poster template is great for spreading the word about a Pride event or even just to post uplifting and inspirational Pride quotes. Customize the Pride Event Poster template and help celebrate love of all genders and sexualities!